With more than a million visitors a year, the Frank family's hiding place may well be the best-known building in Amsterdam. 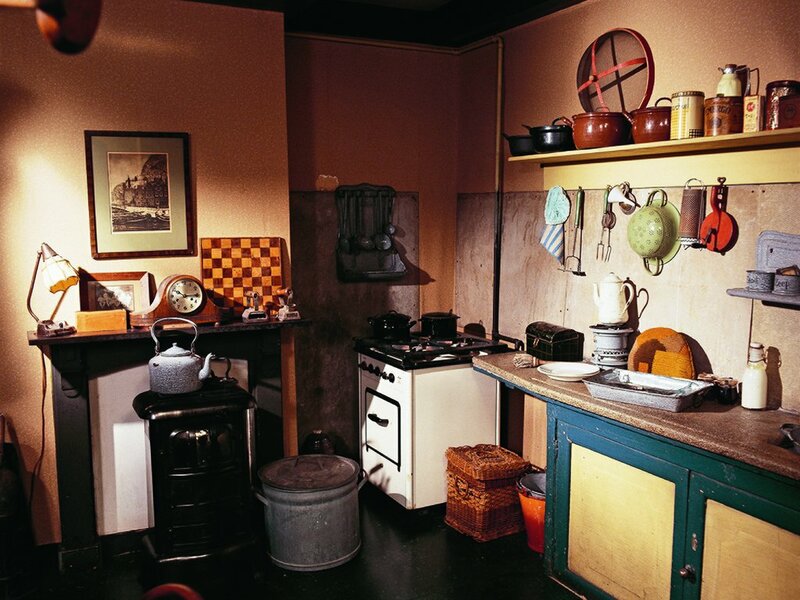 Visitors to the house on the Prinsengracht are primarily introduced to the story of Anne Frank. However, the story of the building itself started 350 years earlier. After 1585, the city of Amsterdam started flourishing, thanks to the major role the Netherlands played in world and colonial trade. In sixty years’ time, the population of Amsterdam increased from 50,000 to 200,000. This Golden Age led to the construction of the building on Prinsengracht. Around the small town centre, a ring of canals was created, which were used for freight transport. Merchants stored their stock in the waterfront warehouses. At the same time, the need for living space increased. And so, in 1635, Prinsengracht 263 was built: a private home adjacent to two warehouses. The land along the Amsterdam canals was in high demand, which is why many of the properties are narrow and long. In order to create more living, working and storage space, so-called ‘annexes’ were built in the backyards of existing houses. To allow daylight into both houses, the main houses and the annexes were often connected by a corridor and separated by a courtyard. 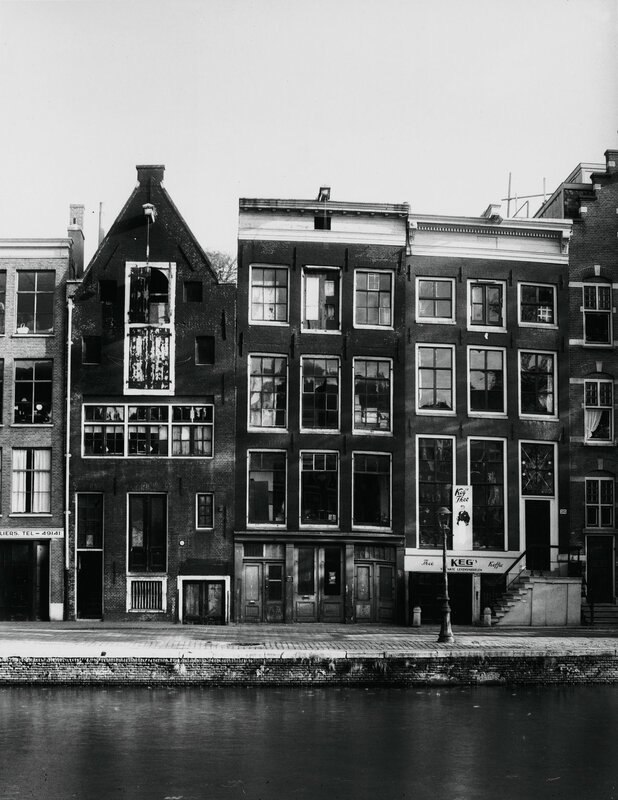 Otto Frank’s business premises, Prinsengracht 263 (in the middle), around 1947. The annex where Anne and her family went into hiding dates from 1739. 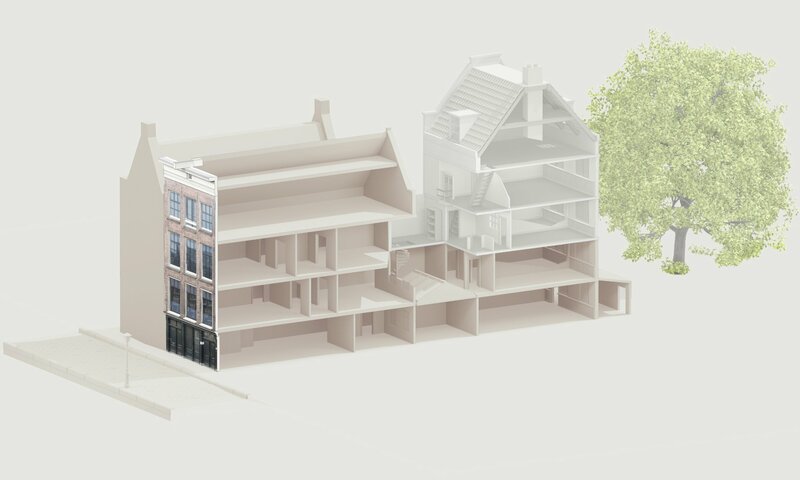 In that year, more than a hundred years after the construction of Prinsengracht 263, the previous annex had been demolished to be replaced by a new, larger annex. Later on, another renovation took place. The basement was replaced by a room at street level. This intervention made the house suitable for companies that required office space as well as a warehouse or large workspace. Almost 200 years later, that was exactly what Otto Frank wanted for his company Pectacon. Prinsengracht 263 (3rd house from the left) in the 1930s. In 1940, Otto Frank rented the entire building, main house and annex, from the Pieron family, who had been the owner since 1901. From that moment on, the floors of the main house and annex were no longer used separately but as a whole. The ground floor housed the workshop of the company, the first and second floors were turned into storage and office space, respectively. This required a new connection between the first and second floors. To go from the first floor to the second floor, you first had to go all the way back to the front door and step outside. There, you went through another entrance door and climbed up a second, steep staircase to the annex. To solve this problem, another staircase was constructed between the main house’s first and the second floors. This is the staircase that leads to the landing where later, a bookcase was placed in front of the entrance to the Secret Annex. 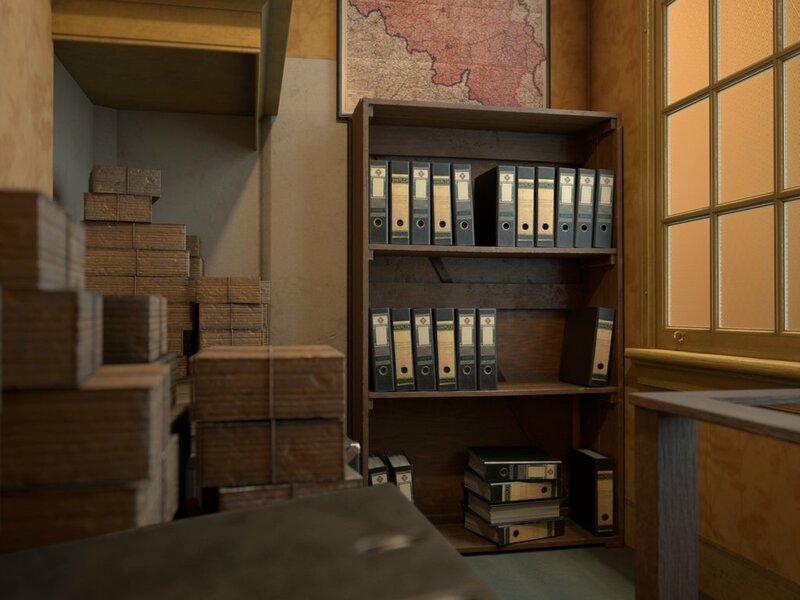 This cross section of Otto Frank's business premises gives an impression of the situation in 1942-1944. When Anne’s sister Margot received a call-up for a labour camp in Germany, the Frank family, who lived elsewhere in Amsterdam, decided to go into hiding in the annex of the business premises immediately. They would live there mainly on the second and third floor. The only way to enter the hiding place was through the secret entrance, hidden behind the revolving bookcase. The business premises in the main house continued into the ground floor and the first floor of the annex. However, these rooms were not directly connected with the hiding place, which was located on the upper floors of the annex. And so, a casual visitor of Prinsengracht 263 would never notice what went on behind the bookcase. The Pieron family, still the official owners of the building, did not know that there were people in hiding in the Secret Annex either. Just as well, because the fewer people knew about it, the better. But then, in 1943, the family sold the property to a new owner for 14,000 guilders. Anne was afraid that the takeover would lead to the discovery of the people in hiding. She wrote: 'As long as he doesn’t come back and demand to see the annex, if he does we will be in a real fix.’ [Anne Frank, B-Version, 27 February 1943] Fortunately, the owner never came back. It was little over a year later when things went wrong after all: the Secret Annex and the people in hiding were discovered. Of the eight people in hiding, Otto was the only one to survive the war. After the liberation, the building at Prinsengracht 263 was in danger of being demolished, but as Anne's story about life in the Secret Annex reached more and more people, resistance to the demolition plans increased. And successfully, too: in the mid-1950s, demolition was prevented and shortly after that, the Anne Frank House foundation was established. The building was restored, and the Anne Frank House opened to the public on 3 May 1960. 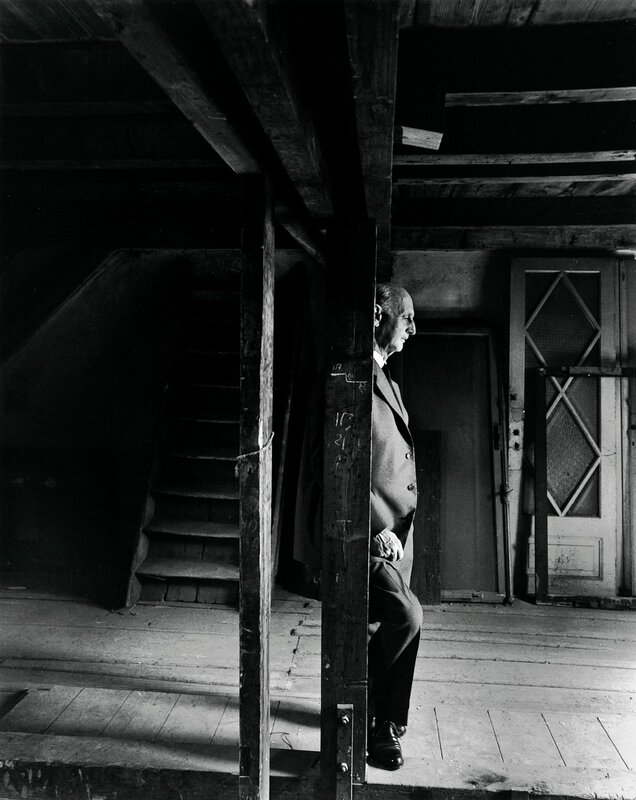 Otto Frank in the attic of the Secret Annex on 3 May 1960, the day the Anne Frank House opens to the public. According to photographer Arnold Newman, Otto was very emotional.